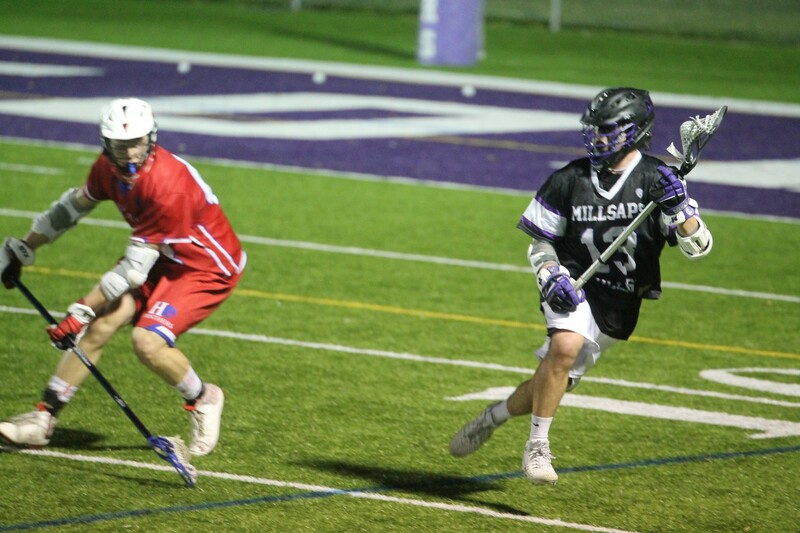 With junior goaltender and team captain Riley McLean sidelined for a concussion, the Millsaps mens’ lacrosse team relied on junior Patrick Fredella to step in and play goalie for the Majors’ victory against Dubuque College in Shreveport, Louisiana. The Majors dominated most aspects of the game, and young players such as Jackson Barrett and Garret Perez contributed heavily in the 17-9 victory. The game opened with both sides playing solid defense, keeping the score low. In the first quarter, goals from Jack Houtz and Simon Sherman put the Majors up 3-1, followed by another goal from Houtz just 10 seconds into the second quarter. Coach John Hoeffler felt that the Majors’ main priority early on was negotiating Dubuque’s stingy defense. “We had to be patient throughout the 1st half against Dubuque’s zone and things finally started opening up for us in the second half,” Hoeffler said. The Majors succeeded in spreading the ball around the offense in the second half. Perez, Sherman, Houtz, Barrett and Parks Douglass all recorded goals as the Majors went up 12-9 heading into the fourth quarter. In the fourth, Houtz and Douglass were among the scorers who put the Majors up 17-9 to conclude the game, as both players scored season-high numbers of goals. Douglass scored four, while Houtz scored six. Sherman also secured his fifth-straight hat trick of the season. Fredella had a solid day in-goal, making four saves and anchoring the defense in his return to the starting lineup. The Majors started conference play on Saturday, falling to the Hendrix College Warriors 17-8. They return to Harper Davis field on Friday, March 20 to take on the University of the South. First face off is set for 7 p.m.